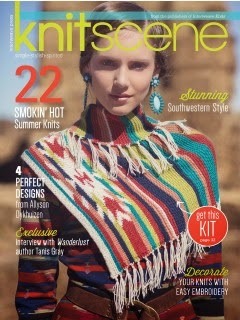 We hosted a KAL (Knit Along) at the shop during March. We called for participants and 18 ladies stepped up to join in the fun. 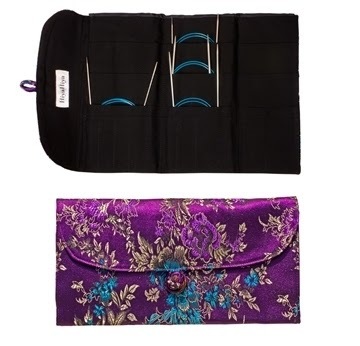 The prize to win was a set of Magic Loop needles by HiyaHiya complete with the gorgeous silk case. 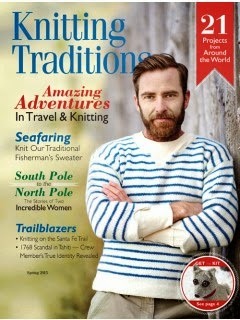 I am happy to announce that Jennifer M has knit the winning wrap!! Congratulations!! The lovely textured Guernsey Wrap rekindled knitters to reconnect with knitting, conjured up a family connection to the Guernsey Islands, some just wanted to have fun and knit something a little different- what ever the reason - we all had fun!! 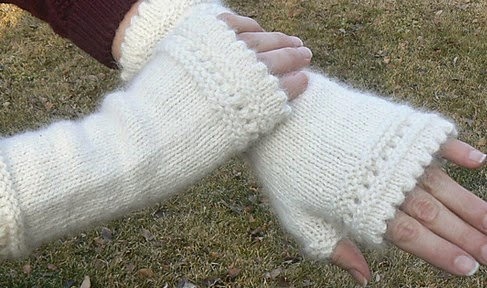 It seems like we are still in need of hand and neck warming items!! Both projects have a simple approach and offer a little “yarnover” technique. We can help you create a “Picot” edge on the cowl to match the fingerless. Perhaps a Mother’s Day gift?? Stop in Wednesday April 29th around 1:00pm and we can get you started. Drop by to pick out your materials so you are ready to start. We’d love to see you – Mark your calendars and join in the FUN!! 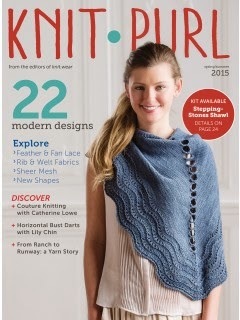 Again, this magazine presents 22 lovely patterns ready for warmer weather wearing. She was so inspired to create these lovely patterns based on her interpretationsof styles she saw while watching the Outlander series.